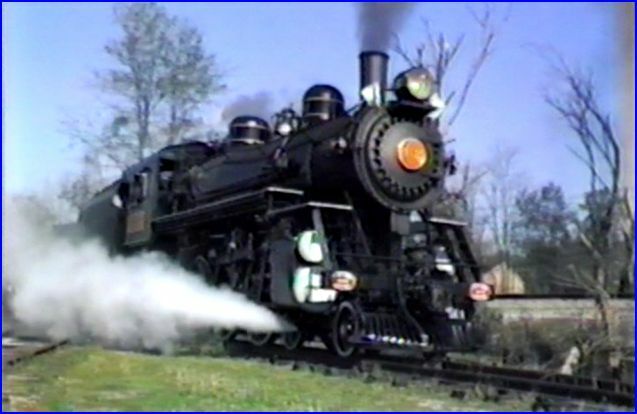 Locations: Seaboard System trackage: Kentucky Railroad Museum, Anchorage to Lexington KY.
Louisville & Nashville 152, a Pacific type locomotive, is the featured steam engine. Follow 2 roundtrip excursions in 1986. This is the a rather short film, at 35 minutes. As steam specials can be repetitive, the half hour seems sufficient here. The Heritage Series offers a growing selection of videos that were shot by George Redmond. 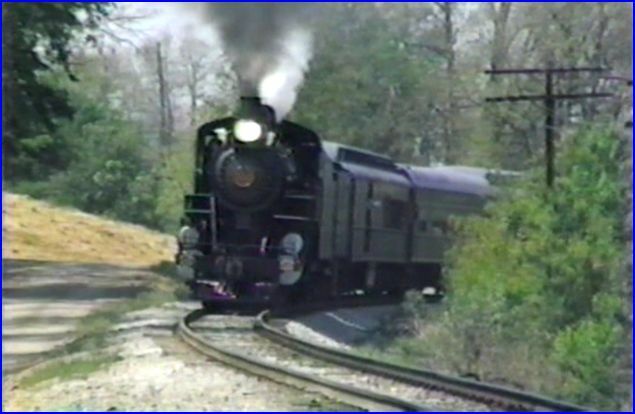 These are straightforward, no frills programs that do contain old videos of trains. 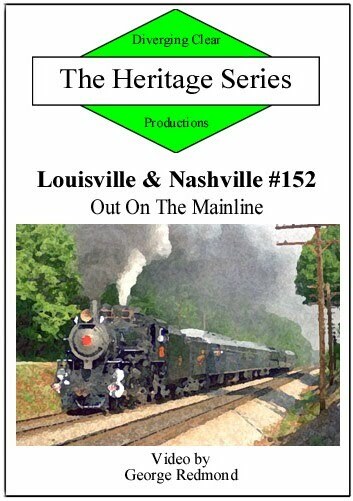 Ranging from steam excursions to major railroads, the series is worthwhile. There is a chapter menu. A generous preview section is included. Videotape is the film source. This is amateur shot footage. Camerawork is steady overall, a few shakes and jars too. The views are varied. Appearance is very good, albeit with some minor flaws, as is common with older tapes. Color balance is good. Appears to have had some color correction, ex: yellow skies to blue. Audio is natural sound with narration. The sound is fine. 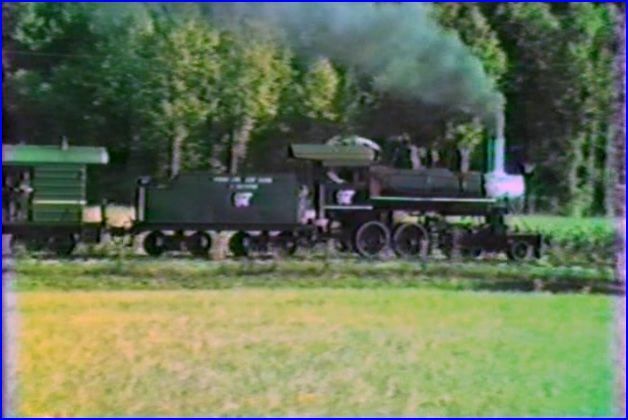 The year of 1986 was a great one for restored steam locomotives across America. A brief review of operating engines leads off this show. Snippets of various operational power is reviewed. 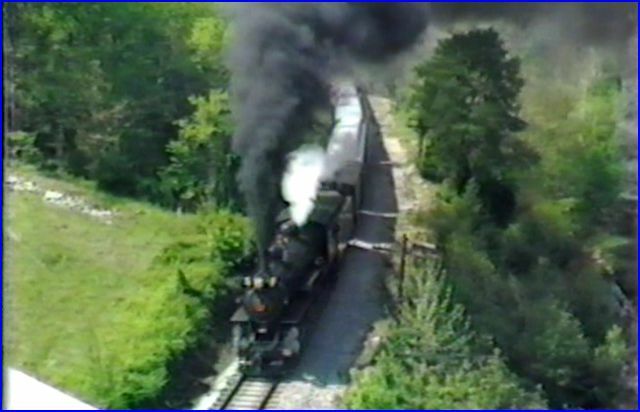 Number 152 is chased on Seaboard System trackage in Kentucky. Here, there is no diesel protection in the consist. 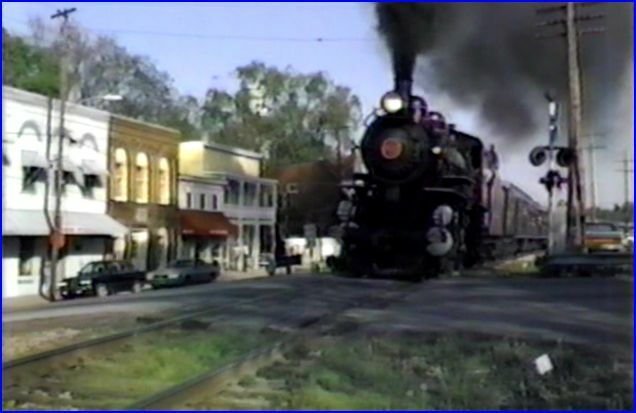 Producer Mary R. McPherson steadily improves her train videos. The latest presentations: look, sound and seem smoother overall. She has many talents. An Amtrak conductor, she is very knowledgeable in railroading. DCP has been working hard to bring railfans a larger catalog of shows. After viewing many shows from her, it is clearly, a love for trains! The train encounters a few grades along the route. Diverging Clear has delivered a good show of L&N #152. Steam fans of 152, can have a nicely done program to add into their collections. 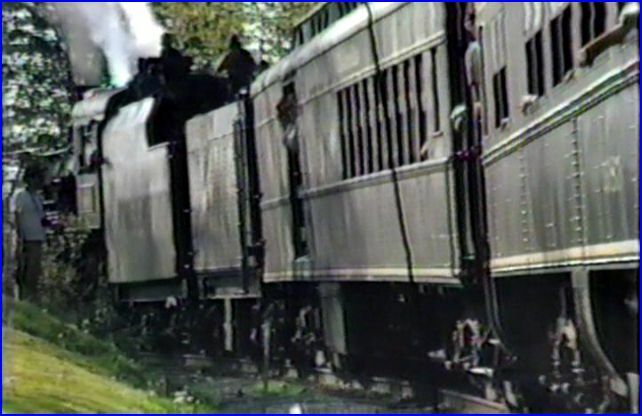 This entry was posted in ATVR Reviews, Diverging Clear Productions and tagged American Train Video Reviews, new releases, Railroad, steam train, Train DVD by William J. Hudson. Bookmark the permalink.